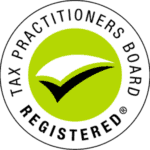 When Taxwise Tax Accountants do your tax return this year, you will benefit from our extensive tax knowledge from our 39 years as High Wycombe’s most experienced professional specialists in mobile tax returns. Taxwise is Western Australia’s most experienced mobile tax specialist. We have delivered fast tax refunds to smart tax payers in High Wycombe for almost 40 years.